Image 1: Supplementary incising of a poppy capsule with a three-pronged scalpel. Yao who have worked elsewhere compare the intensity and delicacy of the task with embroidery. 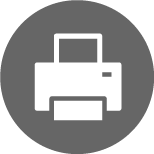 This paper was originally presented at the 2007 Australian Anthropology Society Annual Conference, The Australian National University, Canberra. Image 2: The red arrow points out the approximate extent of the vast range within which the swiddens (both undercrop and fallow ) of Pulangka farmers (1950-68) were located. Image 3: View (1967) of Pulangka Village from peak of Mt. Phachangnoi. Note the extent, proximity and maturity of climax jungle fallow. 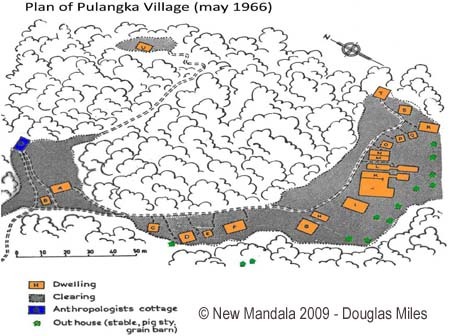 Image 4: Plan of Pulangka Village (1966) (House R is shown in Image 6). I held an appointment as an anthropological fieldworker with the Tribal Research Centre on Chiangmai University campus under an agreement between Australia’s then Department of External Affairs and the Royal Thai Ministry of Social Welfare. One of the priorities of my assignment was to gather and collate information which might facilitate the phasing-out of opium production with minimal detrimental impacts on the agricultural system and prosperity of the Pulangka Yao. This was explicitly a case study and the findings were expected to have applicability to other communities and other regional ethnic groups whose farmers grew poppy. Image 5: Yao grandmothers conventionally embroider together when relaxing with neighbours in a typical village dwelling’s forecourt. (Photo by the late Dr. Chob Kachananda). 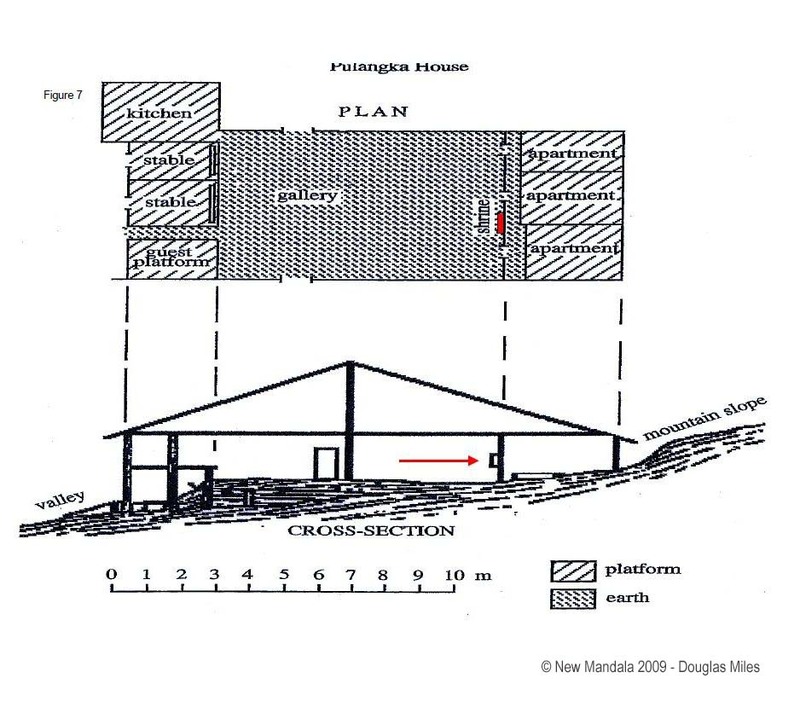 Image 6: House R (1966) in Plan of Pulangka Village (Image 4). My concentration on the details of multicropping by these people (Miles, 1979) allowed me to give little or no thought and time to one set of the factors which in retrospect were to prove very relevant to the interests I have just outlined even though they operated “off-farm” and far beyond my focus of attention on the particularities of the various Pulangka crops. Image 8: Harvesting Rice with the Yao finger knife. Image 9: Natural template for reading of Pulangka’s recent agricultural history. The photographer’s view south from a rice swidden during its harvest in 1967 extends across the sites of previous maize and rice swiddens at all phases of fallow to poppy fields which are simultaneously being weeded on the most distant peak (see red arrow). I refer to the capacity of the Thai military forces to terminate opium production by minority communities anywhere in the Kingdom. Indeed, the Royal Thai Army (3rd Region) was to prove crucial to the continuity of Pulangka’s agricultural system which after almost half a century of operation in the same location, a military deployment was able to render permanently unsustainable in merely a few days.And that is what I witnessed during late February 1968 when my ” fine-grained” ethnographic fieldwork ended prematurely with the bombing of Pulangka village by a Royal Thai Airforce squadron and the seeding with landmines of the surrounding farmlands under both crop and fallow (Miles, 2007: 253-256). 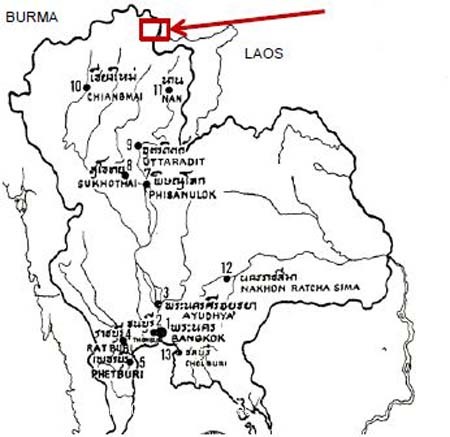 That attack on a civilian population and its resources initiated the complete evacuation not only of this Yao settlement but also of all villages and hamlets ( Yao, Hmong and Thai) in the rugged mountain belt which forms the most inaccessible section of the Kingdom’s northernmost frontier with Laos. The exodus of highlanders was largely effected by the immediately subsequent intrusion into to all bombed settlements by the Royal Thai Army (3rd Region) some of whose work-parties set fire to dwellings and ransacked outhouses (stables, granaries, pig pens etc) while other units manually planted mines in the vicinity of those constructions and in all swiddens at or above the minimum altitude (1000 metres) required by the poppy crop. Any likelihood of even a temporary return by the Yao fugitives appeared to have been totally eliminated. Poppy growing in the area had been permanently terminated by denying the crop the human labour essential for its cultivation. While the bombs were falling , all inhabitants (including my wife who was the village schoolteacher and our four-year old daughter) had fled together and had finally taken refuge in a valley where the villagers had erected a number of bush shelters in an abandoned and fallowing maize swidden belonging to our next-door neighbour. This camp was under a rocky outcrop called Pangka where at first most of the fugitives crouched shivering for hours behind a waterfall immediately below the mountain settlement until some completed temporary repairs on a few dilapidated farmhuts near the rivulet’s bank and on collapsing granaries and stables which were even more overgrown by regenerating jungle spreading from adjacent fallow maize swiddens. During the months (and then the years) which followed, the Yao gradually replaced such emergency accomodation with more durable structures and, eventually, with permanent dwellings. Today they own and occupy Siamese-style teak bungalows with sturdy floors above the foundation stumps of earlier premises and with satellite saucers and/or pick-up trucks in front of half of them . The campsite of yore has become Pangka Village with a population of almost 800. Together with a few shops and several other businesses in between (such as a petrol station, automobile repair workshop, hairdressing salon, TV and computer servicing centre) these buildings now comprise an outer “suburb” which a new highway links to Payao Province’ s largest central market in Chiengkham town only 40 minutes drive away. 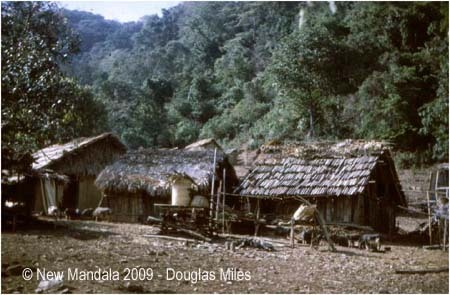 Image 10: Typically Thai-style Houses of Yao in Pangka (1997), where the refugee Yao of Pulanka have now settled. Image 11: Main Street, Pangka village (1997): gas station, offices, houses and noodle bar. Note that the Yao case study manifests only one variant of the strategy which the Thai military developed after the mid-1960s to inflict permanent unsustainabity upon an agricultural system which had provided highland farmers of the Kingdom with constantly increasing prosperity from the turn of the 19th Century into the 20th and until the early 1970s. The Royal Thai Army (3rd Region) continued to use the tactics I have just described to terminate poppy growing throughout north Thailand for at least another decade after 1968 but during that time the military also “researched and developed” more sophisticated variants of possible tactics to achieve the same end along the western frontier with Burma. That region includes mountainous territory which extends throughout Mae Hong Son , Mae Sariang and Tak and which royal decrees have recently dedicated as “wild life sanctuaries and botanical reserves.” I refer to landscape whose uplands have been traditional habitat not only for a number of poppy growing ethnic groups (eg Akha, Lahu, Karen and Lisu ) with populations concentrations in Burma also and for even more generations for Hmong opium producers. Such legislation entails a strict prohibition on forest felling and on log removal (except under government licence); also, against the sealing of roads. The “parkland” (as the terrain in question is commonly designated in legislation and in the media) includes for example Thung Yai Naresuan which straddles mountain ridges between Tak and Kanchanaburi Provinces. This is Thailand’s first national park and on which I focus the following comments on the Hmong poppy growers who have now abandoned the place. My visit to their former habitat in 1988 (as a guest of Khun Boonsong Lekagul in an excursion of the Bangkok Birdwatching Club) provided me with an opportunity to compare the strategy of ending poppy growing by landmining with a different method for achieving the same end: licensed commercial clear-felling. This also entails forced eviction of opium producers from their land but at military gun point (rather than as fugitives from bombardment). Army rifles (rather than landmines) have likewise obstructed long-term return to highland domicile by the former Hmong residents and their resumption of shifting cultivation on their deserted farmlands. But the main difference between the two cases I am comparing is in the degree of risk to which each method of eradicating poppy production subjects human lives. My attention focusses on procedures which did more than deny human labour to the cultivation of swiddens at suitable altitudes (>1,000 m) for poppy-growing and I emphasise the obvious point that the sustainability of such farms also has botanical prerequisites which include the quality of the jungle (preferably primary or climax regrowth) that is the source of the nutrients on which the crop depends. The transformation of these into ash on site is one of the main attributes of the slash-and-burn technique. Military constraints ensured minimisation of media reports about these operations and a few of my own photographs must therefore suffice to convey to you the reality of the monstrous extent, intensity and permanence of the deliberate destruction which clear felling of jungle fallow has inflicted on the agricultural and environmnental potential of the landscape depicted. The pictures record the permanent unsustainability which the removal of all jungle growth has imposed not only upon poppy farming but on all forms of shifting cultivation in the parkland of Tung Yai Narasuen. As you can see, the only flora now reproducing itself on this terrain even eight years after clear felling was the weed imperata cylindrica (which is none other than the dreaded kunai grass of PNG and the noxious alang of Indonesia/Malaysia ) whose self-seeding condemns the land on which it grows to permanent agricultural uselessness. In 1997 the place still retained the appearance of an open cut mine and remained more comparable to a “moonscape” than a landscape. Image 12: Phro Phra Wild Life Sanctuary in 1988. Note absence of jungle re-growth. Image 13: Imperata Cylindrica thriving in Thung Yai Naresuan National Park, 1988. Image 14: Back in the region of Pulangka (1998) where there has been no felling of jungle for thirty years. A comparison of the two case studies adds philosophical questions to practical problems about the incompletion more than 40 years ago, of my research into the then “proven sustainability” of Pulangka’s agricultural system. The bombardment and landmining of that village and its swiddens were intended to deprive the poppy of the human labour necessary for its cultivation and has done so for four decades . In the Hmong case by contrast, elimination of the jungle by commercial clear felling permanently denied poppy growersd the nutrients which the enterprise required and which the farmers could make available on site through their slash-and burn techniques. Finally, I ask you to consider whether the “off-farm” events I have described have made my incomplete field observations and measurements of Yao agriculture entirely futile and I close by inviting the seminar to discuss whether the applied anthropology of tropical agricultural development can have any professional justification where the state so patently disconnects the future of the farms from the opportunity for the farmers themselves to decide on how to pursue their best interests. Miles, Douglas 1979 “The Finger Knife and Okham’s Razor” A Problem in Culture History and Economic Anthropology” American Ethnologist Vol 6, No2, pp 223 -43. Miles, Douglas 2008 , “Afternoon Light on the ‘Thailand Controversy’ : an Afterword” TAPJA Vol 9, N0 3, pp253-262. Thanks to Mr. Sanjay of CIU Ascona, Switzerland for availing me of both his program and technical expertise to process and deliver the text and illustrations in record time. Douglas Miles “pioneered Anthropological studies of Southeast Asia in Australia, through major fieldwork among the Ngadju Dayaks of Borneo (1959-60, 1961-63) and the Yao of Northern Thailand and Laos (1966-69, 1970, 1996-97). Furthermore, he undertook innovative research on contemporary Indonesian culture, such as the sociology of oral and written literature on Bali and associated research on shadow puppetry and the economics of flower production (1974-75, 1978), as well as on the work of the playwright and actor W. S. Rendra. His influence extended to several generations of Australian students in his appointments at the University of Sydney (1969-1983), The Australian National University (1983-1993) and, latterly, at James Cook University (1993-present).” From Connecting the Miles: Introduction by Jennifer Alexander, Rosita Henry and Kathryn Robinson, The Asia Pacific Journal of Anthropology, Vol. 9, No. 3, September 2008, pp. 175-176. I appreciate the account of farming and its violent suppression in two settings. But there is also something to be said about the violent protection of such farming, beyond Burma and Afghanistan. 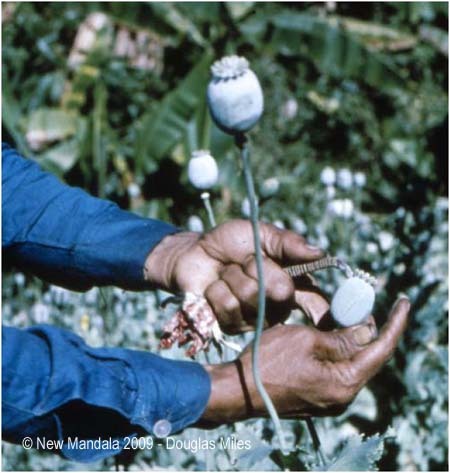 In Thailand in the early years of the 20th century, when Nan was incorporated into Siam, a few Yao/Mien settlements were allowed to grow opium for the Opium Monopoly. As far as I can tell, this took to larger households in five settlements (Phulangka and a few others). Everybody else was continually at risk of arrest and fines, and both police and military had a history of demanding goodwill-payments for looking the other way. Until about 1958, licensed growers were registered, monitored, and protected. From what I have heard, the “Red Meo revolt” started in February of 1968 when a Hmong settlement refused to make such payment to the third official group (military, police, or whatever) that came to the village B. Meo Maaw in a short period (they had paid two already, the village was not far from B. Phulangka). The documentary Miao Year by Bill Geddes, available as a video cd at the Tribal Museum the last I knew, does not suggest any such monitoring or harassment by the authorities. It is a very striking film, in part because it makes no mention of the violence that lingered. Very interesting piece indeed. I have 2 technical questions. First, where more exactly were the pictures of Thung Yai Naresuan/Phro Phra WS taken? I don’t think there is a Pho Phra WS. So could the pictures have been taken within or close to the Phop Phra resettlement center (Phop Phra district, Tak) or in Mae Wong National Park, where Kesmanee reported massive illegal logging following evictions? Is this piece a proof that the same pattern eviction-illegal logging happened in TYN, or is it the same case? Also, could the picture c 1995-00 taken in Thung Yai /Phop Phra be added to the text? 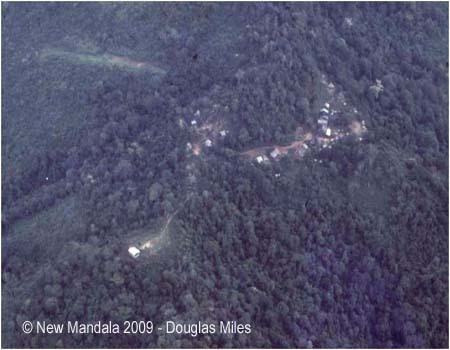 Second, any clues as to why forest regrowth has not taken place around Phulangka (figure 14)? The land remained largely uncultivated and unused for pasture ? Could grasses such as I. cylindrica block natural regeneration over such a long period without anthropogenic disturbances? Was the site “only” bombed or were defoliant and naplam also used? Not knowing the precise location of the recent photo of the vicinity of Phulangka, I can’t say for sure, but it seems highly unlikely that the grasslands are in places where there has been no cutting of trees for thirty years. There is a village in these hills, and they were growing corn and cotton (and rice etc) in the 1990s, in swidden fields. Soil fertility is low because people are not in a situation to rotate fields much at all. On the other side of the mountain, Northern Thai farmers have been expanding corn (maize) fields ever higher, to some extent they get away with it because they are don’t have the stigma of ethnic minority hill tribe farmers. The reasons why I am grateful for these remarks by Leblond and Jonsson include the attention each draws unintentionally to the fact that the valuable insights both offer and the doubts they quite correctly raise about the text would be impossible to justify without the photographs which NM has published; likewise, the corrections they suggest may be necessary. I am also confident that use of such pictures would enable me to lead these constructive sceptics approximately to the spots from which more than 10…20…30 years ago I pointed the camera at the landscapes whose features they so revealingly scrutinize via my lenses to-day. Both commentators also seem to require me to tell them in words precisely where to go to check me out. I cannot do so but that is only because then and I lack a common vocabulary of place names in whose terms the locals by contrast can pinpoint and inform one another about features of the habitat they share. Blogging of photos may likewise facilitate intellectulal discussion by providing a plurality of subscribers with a common set of captioned images and observations which the management of conventional Australian anthropological journals have denied to their readers by refusing to publish visual documentation of fieldwork for over 3 decades. Bravo New Mandala ! Leif’s (Comment 1 ) typically adroit turn of phrase in reference to the operation of violence in the “protection” of agriculture resonates with the main analytical thrust of his (2005) monograph about collaborative “relations” between the Yao of Thailand and that state. I therefore draw on ethnograqphy from the draft manuscript of my forthcoming book to make the point that since the mid-1950s Pulangka’s military “protectors” have not only been footsoldiers and in the service to the Royal Thai Army. Consider the following excerpt from 33 quarto pages of notes about my first day of fieldwork in Pulangka on 18 May, 1966. Even more unexpected was the appearance of their commander’s “wife” at my door the following dawn with orders written in Chinese for her to chop wood for me plus “cook (my) dinner until a date subject to further orders”. I had no option but to accept these arrangements through which I was “to pay for her work and upkeep by leaving cash with the village headman” according to his translation. He for his part was regularly to supply her according to her need with pellets of opium which he would cut out of a quota that was accumulating in readiness for the KMT’s collection. As a result I had certainly … “felt more ‘protected’ than otherwise would have been the case when during the months to come I needed to trek from one swidden to another with only my dog as a companion and along jungle trails that were often littered with fresh manure from horses which Yao later said were not their tiny ponies….” . For the same reason, I also depend on others (and will also be grateful to them) for details about the location of that report and access to it because my present living and working circumstances do not allow me to do the “leg-work” myself in search for these documents. This is fascinating, and calls to mind the account by Jane and Lucien Hanks about how the Koumindang generals asserted control over Western anthropologists’ movement in the far northern part of Chiangrai in the 1960s (reported in their Tribes of the North Thailand Frontier, 2001). How the region was controlled and by whom at different times is quite varied, and we have a spotty sense of it, this account is an interesting addition. Is there a way to learn about the power configuration before 1958 when opium was outlawed? That is, did outlawing opium open new fields for militias? This all very interesting. I would be interested in knowing more about the agricultural cycle in the village and the crops grown (in addition to opium) by the Yao. What sort of livestock was raised? Did the KMT confiscate the Yao’s smaller ponies for transport purposes? I can imagine land mines could cause serious losses among free ranging cattle. I work on reforestation in Chiang Mai where our No. 1 problem is fire. Huge areas of Imperata grasslands exist in S.E. Asia because frequent burning destroys tree seedlings and advantages grass. The waste land of the pictures most likely results from frequent fire post logging. Considering annual fires, which the Forest Department records show as never having a confirmed natural cause, bring with them pollution levels up to 6 times the European standard for particulates and an epidemic of respiratory illness and a tourist boycott, I am surprised the anthropologist readers have not mentioned this. The army certainly has many crimes to answer for. Today one could ask is it pulling its weight on fire prevention? The photo labelled Imperata appears to be of a different species. Imperata grass is used for making roofs, the one shown for brooms if I am not mistaken. But no-one can gainsay the responsibility of those same multinational enterprises for the creation of the vast and it seems smoke -belching savannahs near which this well-informed subscriber chokes in outrage at the coal-face of the problem . Southeast Asian governments must give these corporations good reason to know that business prospects can also depend on simplicities such as natural reseeding and coppicing of trees ie on prior commitment to measures to restore the quality of well-worked farmland rather than to just let it lie waste. I am glad to be corrected about the identity of the grass in the wastelands of my previous post’s images ( NM 5 May,2009: Images 12 &13) and will pass on that professional opinion to those Bangkok Bird Watchers who have advised me differently. Such botanical details are important and so of course are the subscriber’s titillating hints about the potential usefulness of such vegetation for roofing or the making of brooms (one fine sample of which my wife recently bought for me kerbside when by-passing Pitsanolok ). The relentless persistence of that threat and the gargantuan dimensions it has assumed to-day demand more than mere repetition of lip-servicing castigation by media of a few traditionally equipped farmers in Borneo and Sumatra for slashing and burning the jungle they clear for the tiny swiddens from which they subsist . The dominant contribution of large-scale commercial clear-felling to the multiplication and expansion of the Southeast Asian grasslands demands front-page confirmation by Anthropology and other scholarship in a call in the name of science for the co-ordinated action by a plurality of governments and of the commensurate massive dimensions necessary to engage with the problem literally at the grassroots of their societies. We can be grateful to Ricky Ward who fights fire well with the pen as he no doubt does also with other technology . He has provided New Mandala with additiional reasons for its previous warnings of the dangers with which the priorities of the multi-national lumber industry confront Southeast Asian interests. Thank you RW for reminding me that grass also burns. Chupinit Kesmanee talked about large-scale illegal logging following relocation in Western Thailand in three documents published in 1987, 1988 and 1995 (references below). The 1988 and 1995 ones are more or less identical. 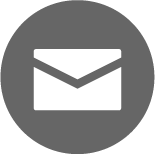 I can send a copy of these documents by email. Here’s a long extract of Kesmanee (1987). As you will see, he points out that the pattern of relocation of highlanders followed by illegal logging is reported by several informants in many areas. Its existence is documented by a third party in one area: Mae Wong NP & Khlong Lan NP, Kaemphaeng Phet. As I said before: is it possible professor Miles’ post proves it also occurred in Thung Yai Naresuan WS? “Stories from various informants in different locations are consistent in one respect, how, after ordering the hilltribes out, government officers conducted logging operation on a large scale under the guise of hilltribe forest destruction. While the widely held view that such stories are made up by hilltribe people intent on revenge may deserve critical attention, not all such stories can be discounted. Take for example the following information obtained by a news reporter who observed a case at first hand. It clearly deserves considerable weight when assessing villagers claims. First, to what extent was the drive for relocating population fuelled by the prospects of quick returns from forest exploitation? The pattern relocation-(il)legal logging discussed in his text is reported in at least four areas between 1986 and 1992: (1) Mae Wong NP & Khlong Lan NP (Kesmanee 1987), (2) Phop Phra Relocation center, Phop Phra district, Tak (Anon 1991), and as part of the Khor Jor Kor project (Pye 2005, p 147-9) in (3) Thap Lan NP/Dong Yai forest (Khorat & Buriram) and (4) Dong Kwang Forest (Phu Phan Mtns area, Sakon Nakhon). Did the same pattern also happen in Thung Yai Naresuan? Second, did relocating people out of forest areas help increase forest cover? In Phu Langkha, an abandoned area has not rejuvenated into forest cover after several decades. Recently, I spent (some might say wasted) a day or two downloading and comparing satellites images of sites where population resettlement occurred. I was surprised by the results of this very preliminary and sketchy analysis. I looked at four sites from which large populations were resettled : SE Thailand (Chanthaburi/Prachin Buri/Sa Kaeo), Thap Lan NP/Dong Yai forest (Khorat), Doi Luang NP (Lampang) and Mae Wong/Khlong Lan NP (Kamphaeng Phet). In the first two, I saw no changes except further deforestation due apparently to government projects. In the third, there was some very modest reforestation in one area. The analysis in the last area was inconclusive due to the dates the satellites images available were taken (1973, 1989 and 1999, while relocation occurred in 1986). If reforestation occurred, it did so very rapidly between 1986 and 1989. Why has reforestation not followed ? Are these meagre environmental benefits worth the human and financial costs of relocation? Third, is it possible that in Thailand researchers attempting to explain and combat the spread and persistence of Imperata and other dominant grasses overlook the fact that many of the sites they study have been subject to warfare operations, notably the use of napalm and defoliant and the bulldozing of forests close to the roads? Perhaps, as in Vietnam, recent anthropogenic disturbances are not the only factors one should be investigating. Anon (1991) Tak ranger commander assails resettlement scheme. Bangkok Post, (March 11). 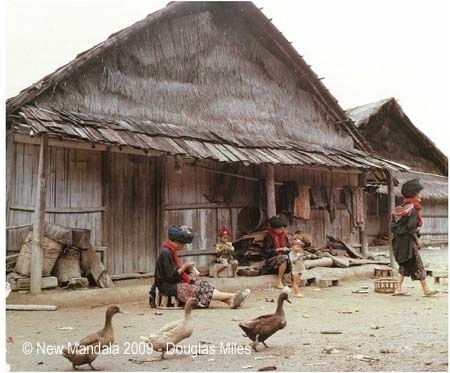 Kesmanee C. (1988) Hilltribe Relocation Policy in Thailand. Cultural Survival Quarterly, 12(4). 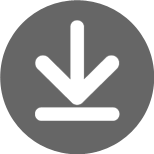 Kesmanee C. (1995) Moving Hilltribes People to the Lowlands: The Resettlement Experience in Thailand. In: H. M. Mathur & M. M. Cernea (eds. ), Resettlement: Focus on Asian Experiences: Vikas Publishing House PVT LTD.
Pye O. (2005) Khor Jor Kor: Forest Politics in Thailand, Chiang Mai: White Lotus. Thanks for this informative follow-up, that also connects to issues raised in Andrew and Nich’s post on the Specter of Evictions. The Khlong Lan people, highlanders in Kamphaeng Phet, were invited there by the Thai authorities (most likely just the military, and at that time the Forestry Dept seems not to have minded), in an effort to preclude forest bases by the Communist Party of Thailand. Many of the people were in refugee camp — some rented their own trucks or other transport after they got the green light to settle there. They were encouraged to plant corn, and had to buy their own seeds. After the CPT surrendered, many were evicted, throughout the 1980s possibly, and at least as late as 1990 (by essentially the same outfits as had invited them earlier). Near Phulangka, the Phachangnoi Wildlife Sanctuary was established to take land away from possible CPT use. There was no large scale logging, but the WS Director had a road built into the forest for the benefit of his “friends” for at least selective cutting of choice trees(there was also sporadic hunting by WS staff). Local farmers state that the forest was in much better shape prior to the WS being established. I find it plausible that napalm accounts for the lack of regrowth in that area of Phayao (formerly part of Ch.Rai), but don’t know how one would find out. Another comment from Doug Miles on JP Leblond’s Comment May 21 2009 no 1. I agree with Leif Horleifur (May 22 2009 11) regarding the informative value of Jean Paul Leblond’s comment ( May 21 2009 10) . It is not by neglect that I myself only now respond to JP’s earlier critique (May7 2009 2 ) of my first post ( May 5 1) but rather that I accepted his advice to consulut the published material to which he referred by Chupinit Kesmanee etc and that it has taken me some time even to begin the task given the location of where I live and the circumstances in which I work. However the clarity, precision and economy with which JP himself (May 21 10 ) has now already summarised that material* renders redundant any attempt by me to emulate his scholarship which provides more evidence than I ever imagined could be available for my main point concerning wild –life sanctauaries in the western borderlands of North Thailand : that during several decades under the Royal Thai Army( 3rd Region) authority, commercial clear-felling in the former habitats of poppy-growing mountain minorities has indeed supplemented military eviction as a strategy for ending shifting cultivation and especially opium production in such nature reserves. I am also very much taken by Kesamanee’s (1995: 245-248) references to instances where those who have acquired licenses as commercial operators on behalf of timber interests have in some cases themselves been forestry officials. This charge obviously warrants further and closer consideration in future studies of forestry politics in the Kingdom’s north. *Further to the above , I thank JP Leblond for providing me with pdf copies of these documents. A follow-up to this my first post in New Mandala and my response to Aiontay’s request ( Comment May 14 2009 7) for further details about Pulangka Yao crop scheduling in the 1960s and KMY”confiscatiions” (etc) appears here. Discussion and images of rubble and cairns on opium farms and about stone walling of the perimeters of those fields may be of interest to archaeologists in the UK as well as Southeast Asia. Is there a published source for these precious information? Do you mean that people who sided with the government in the late 1960s and 1970s and resettled in lowland resettlement centres in Kamphaeng Phet were then ‘offered’ to relocate in the uplands of western Kamphaeng Phet? Is it possible to know when approximately that occurred and if it was part of one of the many national security projects? Could it be for example part of the ‘border self-defense village project’ created in 1978 and which had by 1981 94 such villages established along the Thai-Burmese border (Bamrungsuk 1999)? Bamrungsuk S. (1999) From Dominance to Power Sharing: The Military and Politics in Thailand, 1973 – 1992. Columbia University. In reply to Jean-Philippe Leblond, the only published account I know of is Prasit Leepreecha et al 2547, Mien: Lak lai chiwit jak khun khao su meuang (CMU, SRI), page 91, they give the year 2518 (1975) for the move, and mention only Mien people from Lampang, Chiangrai, and Tak. I know from talking to Mien in the US that they were told they could move there from refugee camps (late 1970s, maybe also 1980s, am still collecting info on this). As far as I can tell, these were not “border self-defense villages”, in at least some cases there were shoot-outs between some Hmong and some Thai military (details not so detailed, except that the Hmong village was called Ban Thang Sut, that’s where the road ended because the Hmong would not accommodate road construction etc.). These were emphatically not lowland Kamph Phet people who moved uphill, nor were they people who had “sided with the Thai gov’t in the 1960s or 1970s” (they weren’t anti-govt but had other concerns). In 1990, I had a brief chat with some Mien people in Nan town, who were inside a fence and guarded by heavily armed military guys, the people had been evicted and trucked from Kph Phet to Nan, and may have ended up in the US — most of the refugee camps were closed in the 1980s, but Chiangkham ran until 1992 or longer. Fascinating article… I’m faily sure that this is the same Pang Ka village on highway 1148, between Nan and Chiang Kham that I travelled through a couple of years ago. At that time an old-ish lady told me that their village (Pang ka) wasn’t that old, and that they’d moved there, from the forest because their land had been bombed.